OptionFair is a binary options broker, headquartered in Limassol, Cyprus and owned and operated as a brand by B.O. Tradefinancials Ltd, which is a CIF regulated by CySEC under license number 216/13. As an EU regulated broker, OptionFair has rapidly expanded into new global markets and through the constant upgrade of its multilingual trading platform and live customer support, it is focusing its growth efforts mainly towards the Eastern European and Far Eastern markets. 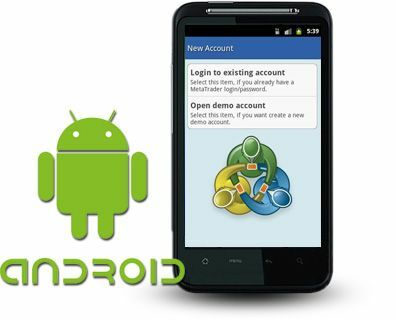 As part of the company’s drive to make full use of new technologies and at the same time improve its platform in order to enhance the trading experience of its client-traders, it has very recently launched a new Android Application for use on Smartphones and Tablets, which contains several major innovations and delivers one of the binary options industry’s most up to date and effective mobile trading packages. In fact, according to the company itself, this new and entirely free app was purposely designed to provide binary options traders with a sophisticated and intuitive mobile trading platform that overcomes the limitations of previous technologies. Quick to recognize that mobile trading represents the future of online trading, OptionFair had since sometime ago began serious research and development in conjunction with technology company TechFinancials, through surveying existing platform users and analysing their feedback and opinions. OptionFair are confident that the new Android App will be a major success exactly because it took into account the views of actual traders, and this is why this new application is being described as the perfect tool for any serious binary options investor. The mobile application is in reality a streamlined mobile version of the main trading platform, while at the same time it is intuitive and simple to use, making the transition to a small screen smooth and trading to be done effectively and quickly. Moreover, it is stressed that the design expertise of TechFinancials is clearly evident in the new Android App and users are guaranteed a high level of cyber security and protection Sources in the company are optimistic that the new App will be installed by the majority of OptionFair traders.